Sunshine State ska-punks Less Than Jake are packing up this fall and bringing their Pezcore punch to crowds on a particularly Canada-heavy tour with fellow third-wavers Big D and the Kids Table and newer crew the Interrupters. News of the group's travels were revealed today on Facebook, with Less Than Jake confirming they'll be taking the top spot of the bill. Though it kicks off in Spokane, WA, a 10-show stretch across Canadian territories takes place between BC and Quebec. Following the October 23 appearance at Montreal's Club Soda, Big D and the Kids Table drop off the tour, leaving Less Than Jake and the Interrupters to finish off the trek with a few U.S. dates. 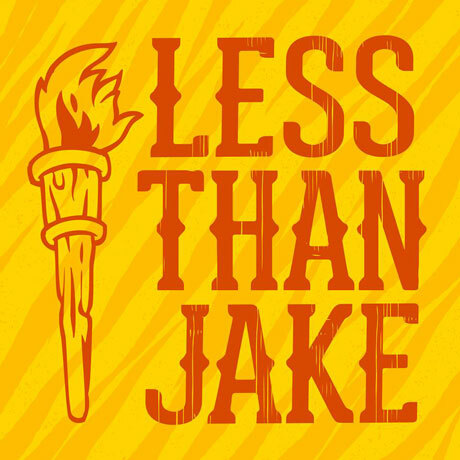 You'll find all of the details down below, including Less Than Jake's summer tour schedule. Last year saw Less Than Jake issue their See the Light album, while Big D and the Kids Table served up their Stomp and Stroll the same year. The Interrupters, meanwhile, have their Tim Armstrong-produced self-titled debut coming out August 5 Hellcat.